If you've been following the restoration story of D6948, then you'll remember that one of the first things done in the project back in July 2010 was to install a Clayton RO2500 Steam Generator in order to provide steam heat capability. Although built to take one, the loco was never actually fitted with one until 2010 when a Bridgwater firm managed to produce one refurbished unit out of three scrap generators that had been rescued out of 37s many years ago. With the loco now having returned to service at the GWR's July Diesel Gala, the steam generator was reactivated and received its insurance certificate in September. 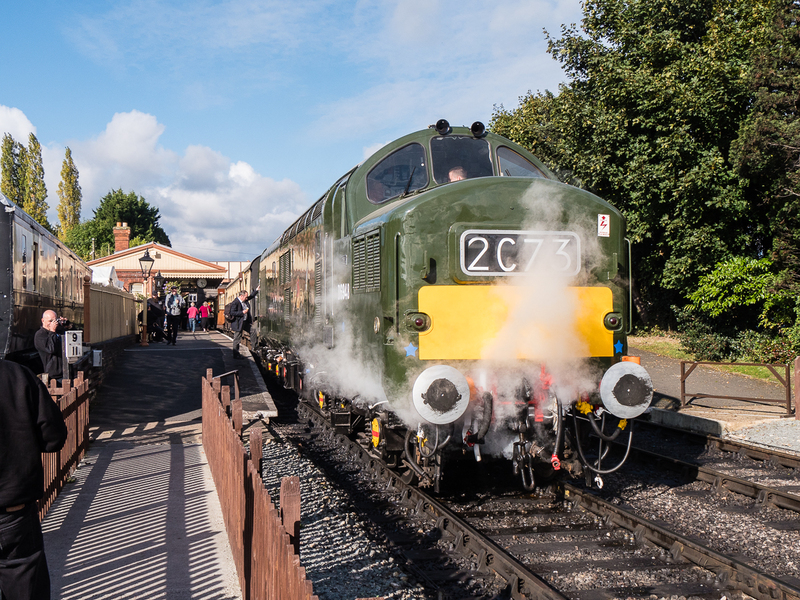 Following a few niggling issues, D6948 steam heated a train for the first time ever at the October mini-gala event - the loco is seen here at the head of an afternoon train to Cheltenham Racecourse at Toddington on Saturday 8th October.